- Meet in Casablanca airport then transfer to hotel. - Breakfast then pay a visit to Rabat sightseeing places. 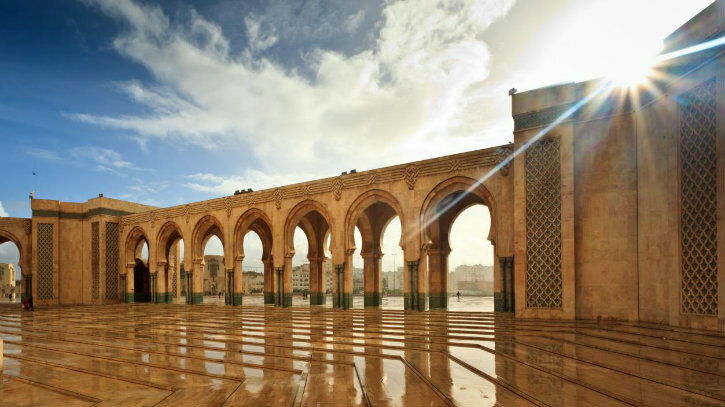 - Continue your trip to visit Meknes top historical sights. - Afternoon drive to Fez passing by Voubilis Roman ruins. - Arrive to Fez hotel, dinner & overnight stay in Fez. - Breakfast then explore the tourist attractions in Fez. - Afternoon trip in local Souqs, Bazaars & New Fez city. - Transfer back to your hotel for dinner & overnight. - Breakfast then travel back to Casablanca to explore the city. - Afternoon trips to Souks & local markets of Casablanca city. - Back to your hotel for dinner & overnight. - Transfer to Mohamed V airport for the departure flight.